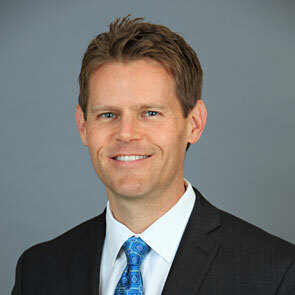 Kevin is a co-founding partner of Patton Sullivan Brodehl LLP. He is a trial and appellate attorney focusing on high-stakes real estate and business disputes. He has been recognized as a “Super Lawyer” every year from 2012 through 2018 (Thomson Reuters ratings), which is awarded to only 5% of the Northern California Bar. He also created and publishes two blogs – “Money and Dirt” (real estate investment, development, deeds of trust, and title disputes) and “The LLC Jungle” (limited liability company disputes). In an era where most litigation attorneys simply “manage” cases from their desks and rarely advocate inside the courtroom, Kevin’s practice has always focused on proactively solving and winning high-stakes trials, arbitrations, and appeals in forums across California. He won his first trial the day after he was licensed as an attorney in 1998, won his first appeal three years later, and has served as lead trial and appellate counsel in an array of complex real estate and business cases ever since. His courtroom experience also allows him to diagnose, shape, and favorably resolve many cases before trial. Kevin solves problems for a diverse set of real estate clients including: real estate investors; real estate developers; real estate owner/operators; real estate-secured lenders, borrowers, and guarantors; LLCs; LLC managers; LLC members; partnerships; and REITs. Clients retain Kevin to solve problems including: broken contracts (purchase/sale, option, lease, development/disposition, joint venture/owner participation), title issues, escrow issues, deed restrictions (including CC&Rs), easements, fraud/nondisclosure, partition, land use, eminent domain, lien validity and priority, loan default, receivership, foreclosure, and guarantor liability. As an Adjunct Professor at U.C. Berkeley School of Law in 2016, Kevin taught Real Estate Transactions and Litigation to advanced JD and MBA students, and he is a regular seminar speaker on real estate issues. Since 2013, Kevin has served as one of the primary Annual Update Authors for CEB’s leading treatise “Mortgages, Deeds of Trust, and Foreclosure Litigation,” and has spoken at numerous seminars and webinars on deed of trust and foreclosure issues. Kevin handles disputes arising from “The LLC Jungle” and publishes a second blog by that name. Cases often feature conflicts between LLC members and managers involving fiduciary duties, member rights, managerial discretion, and dissolution. He is a frequent seminar speaker on LLC disputes and issues. Kevin also provides dispute and pre-dispute advice to businesses across diverse industries other than real estate, including technology, health care, finance, manufacturing, food & beverage, agriculture, and cannabis. He handles claims involving breach of contract, trade secret misappropriation, interference, fraud, and business divorce / dissolution. Kevin also has experience representing fiduciaries charged with administering trusts and estates, and pursuing/defending creditor claims against estates. Clients and other trial attorneys retain Kevin to handle appeals and writs in California’s courts of appeal. He has argued in appellate courts throughout the State, and has notched several published, precedent-setting victories (along with many unpublished wins). Kevin takes special pride in getting trial court judgments and orders reversed, and having meritorious claims reinstated. Kevin served as President of the Appellate Section of the Contra Costa County Bar Association from 2004 to 2007, and is a seminar speaker on appellate issues. Thank you for your tenacity in delivering justice for our community of citizens who need a role model authority in fair representation.